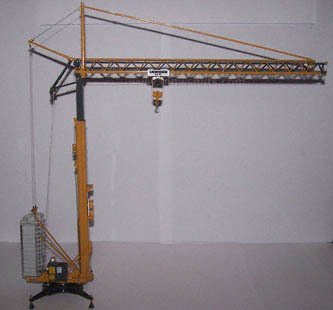 This is the NZG model of the Liebherr 32TT fast erecting crane. The model is fully functional and is extensive printed with warnings and information stickers. The wheels are detachable. They are mounted by (also detachable)frames to the undercarriage of the crane. NZG uses metal pins for these connections, and most of them are very loose. Because NZG doesn't supply spare pins, you have to be very careful when moving this model. 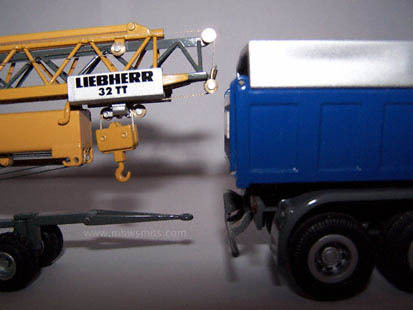 If you want to attach the model to a truck, you could be surprised. The drawbar is so short, that it doesn't reach past the folded crane. 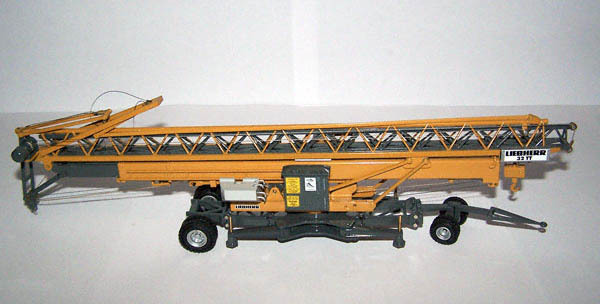 In the picture on the box can be seen that the drawbar of the real crane is much longer. The crane is erected in the same way as it's large example. 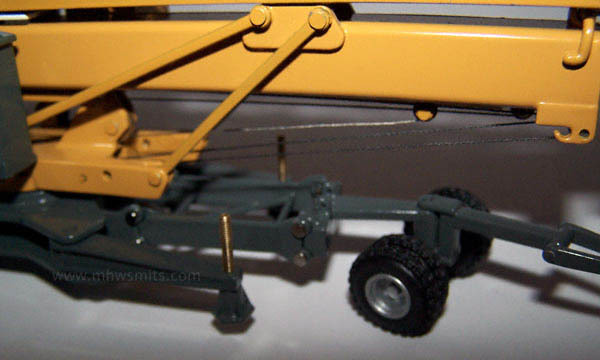 Because the winches are blocked, it's also possible to show the model only partially erected. The boom is telescoped by means of a real steel cable. This is not the best choice, because the steel cable isn't always under enough tension to prevent curling. 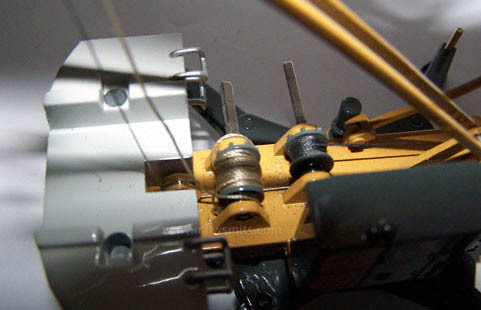 The winches are equipped with a rather thick white wire. On the right winch in the picture (used for the erection of the crane) is black wire from Conrad, because the original wire snapped during the first erection of the crane. Both winches are way to small for the thick wire chosen by NZG, which causes it to get stuck everywhere around the winch. A thinner wire, like the wire from Conrad, solves most of this problem. 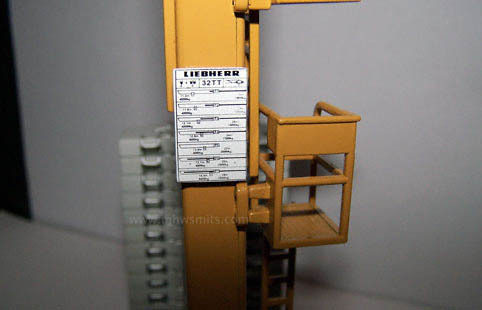 Nice detail is the lifting chart mounted on the tower. Because the text on this chart is just large enough to be readable, it's a handy help when choosing a realistic load for the crane. The model comes standard with a NZG concrete bucket. With the 32TT, NZG introduced a excellent model to watch. Technically, it can be improved. 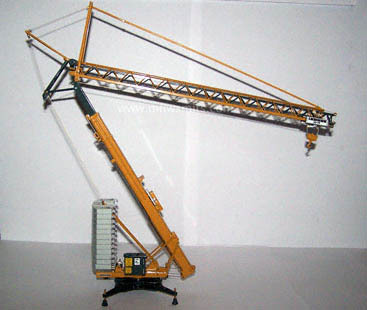 Nevertheless a beautiful model, which is a great addition to any crane collection.